After having a long vacation, visiting family and getting them to meet my son Aiden, we now are settled in a new place for a while. Packing and unpacking for the fourth time in the last two months, we finally received our household goods and I can start cooking again. The kitchen is a little small but it will do the job. 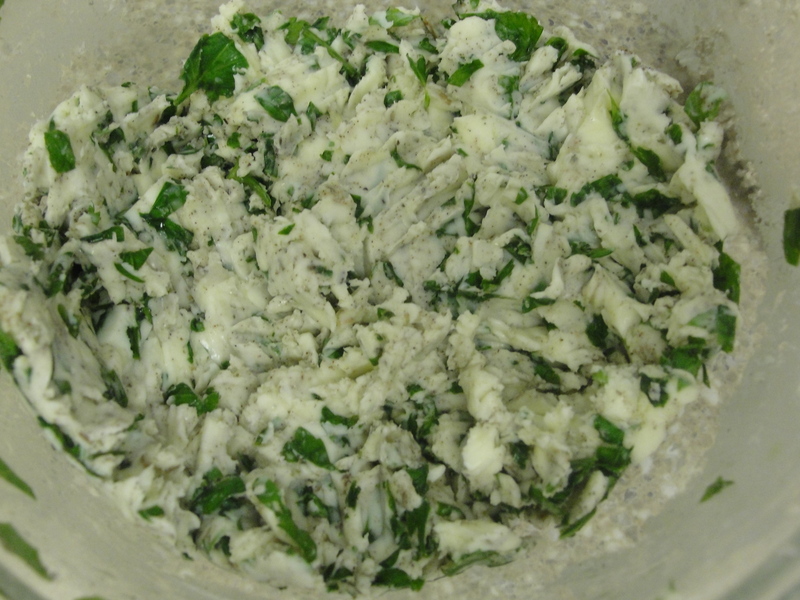 Mix together the butter, parsley, sage, salt and pepper using a fork or a blender. 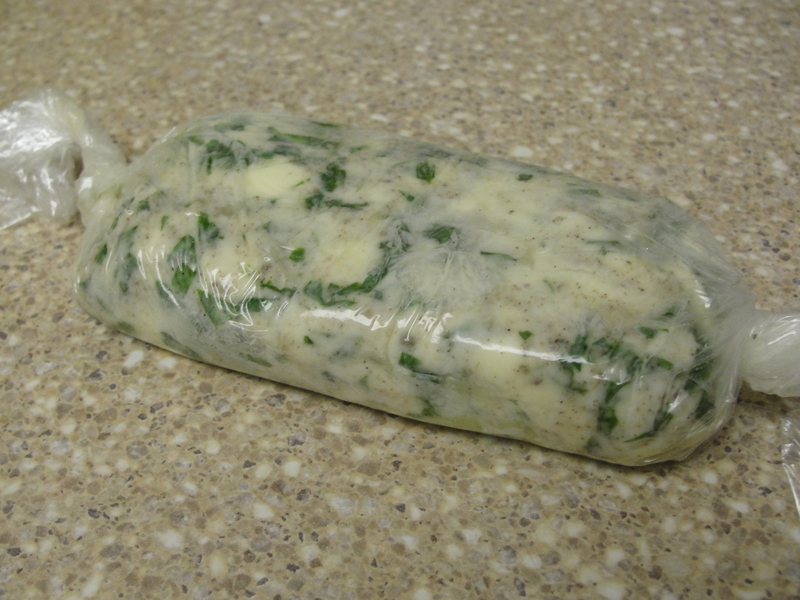 Wrap the mixture in a cling wrap in a roll shape and freeze for 25 minutes for the butter to harden. 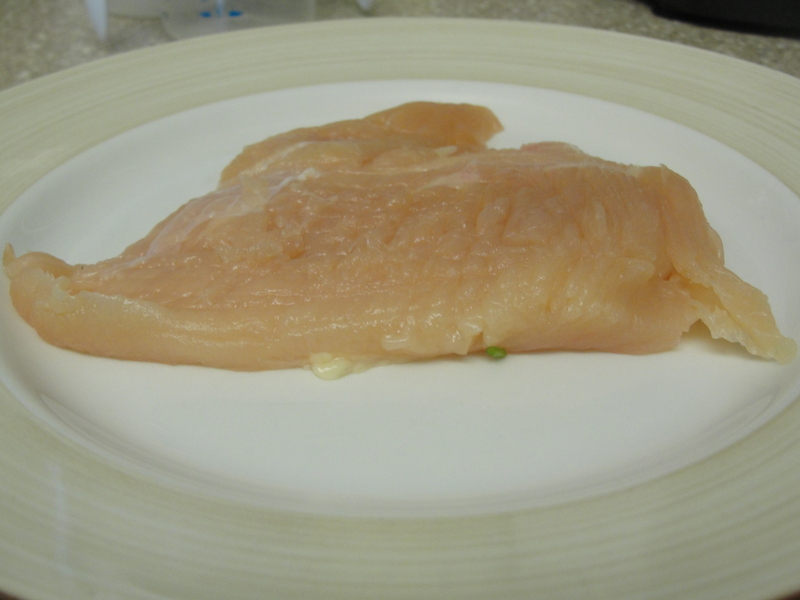 Place each chicken breast in a plastic wrap and pound using a rolling pin until the breast is 1/4 inch thick (don’t make ultra thin or it will tear when you try to roll it). Take the butter out of the freezer and cut into 4 equal pieces. 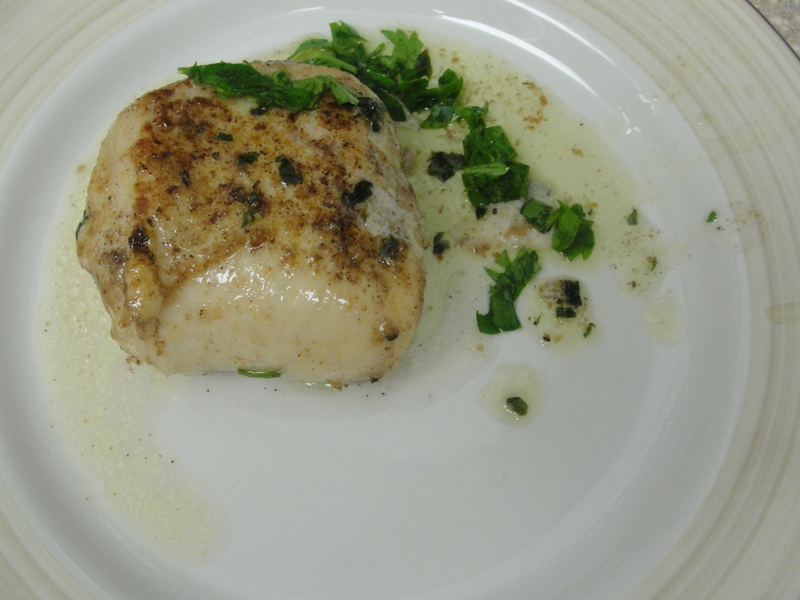 Place each piece on the chicken breast and roll it to cover the butter. Refrigerate for 1 hour so they will hold together. 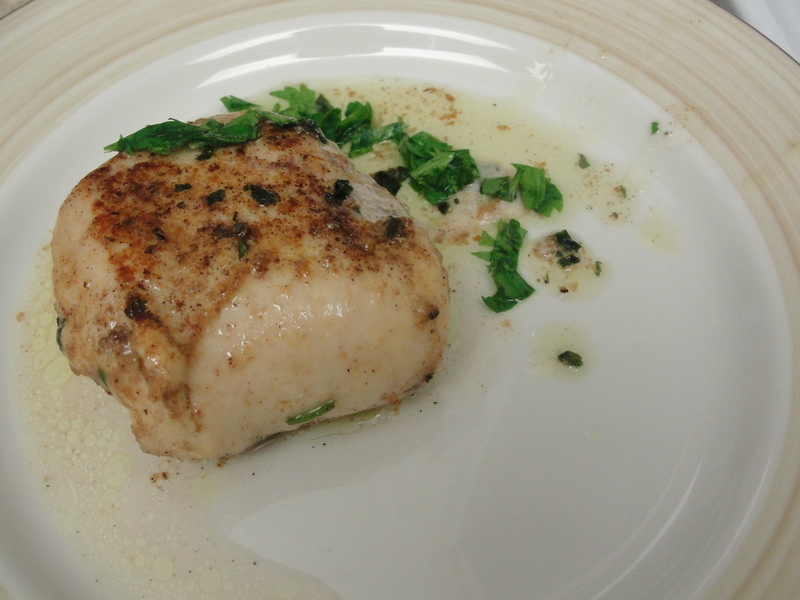 Season each piece with salt and butter adding some bread crumbs if desired. Heat one table spoon of olive oil and some butter. 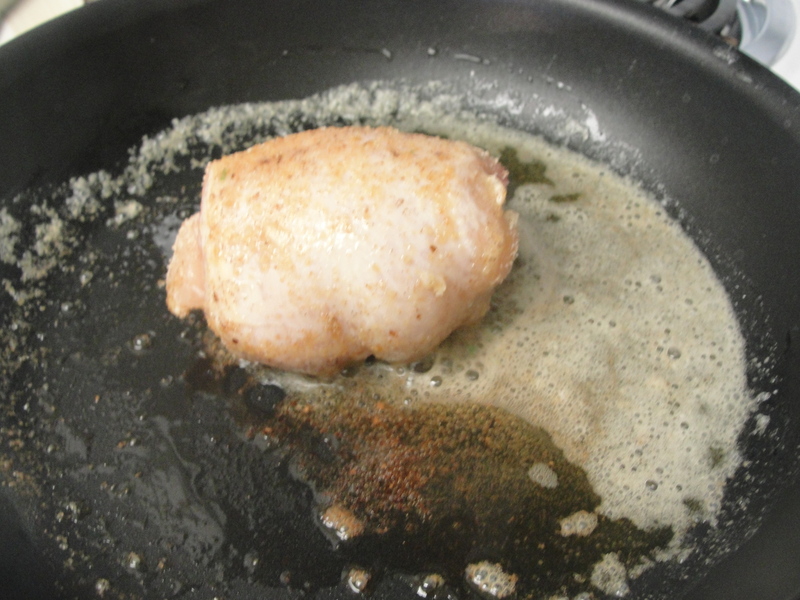 Once the butter melts and the oil is hot reduce the heat to medium low. 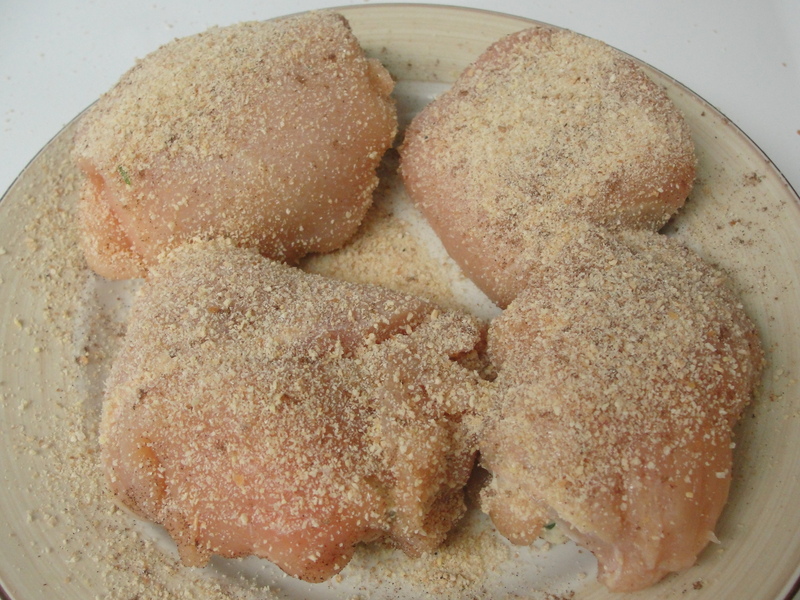 Cook the chicken pieces until golden brown on all sides for about 20 minutes. 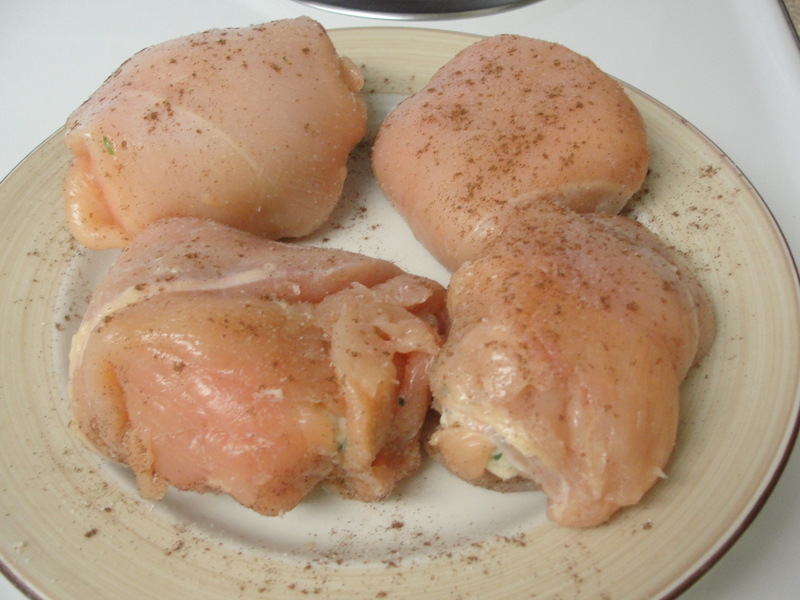 This entry was posted in Chicken and tagged Butter, Chicken, Gluten Free, Kiev, Low Carb, Ukrainian. Bookmark the permalink. That was my first time making it home and it came out so delicious!